This image above demonstrates the size of a hurricane and just how much coastline a single storm can affect. Now take into account that during hurricane season there can be multiple big storms and you can truly start to appreciate the danger. If you live on the coast where hurricanes are a threat, you already know this. But for many of you, hurricanes are just some marine storms that hit the other part of the country. Maybe you’re moving to the coast soon, or just recently have moved and never experienced one, but even if you’re a hurricane season specialist there are certain steps that you must make sure that you’re following. Read on to find out. Hurricanes are a type of tropical cyclone or severe tropical storm that form in the southern Atlantic Ocean, Caribbean Sea, Gulf of Mexico, and in the eastern Pacific Ocean. They are usually accompanied by thunderstorms and (in the Northern Hemisphere) a counterclockwise circulation of winds. Coastlines on the Atlantic and Gulf of Mexico are all subject to hurricane threats. The Atlantic hurricane season lasts from June to November (with the peak occurring from mid-August to late October) and the Eastern Pacific hurricane season lasts from May 15 to November 30. Capable of producing wind speeds up to and sometimes over 155 miles per hour, tornadoes, lightning, floods, hail, mudslides, and landslides are other side-effects that hurricanes have been known to bring. 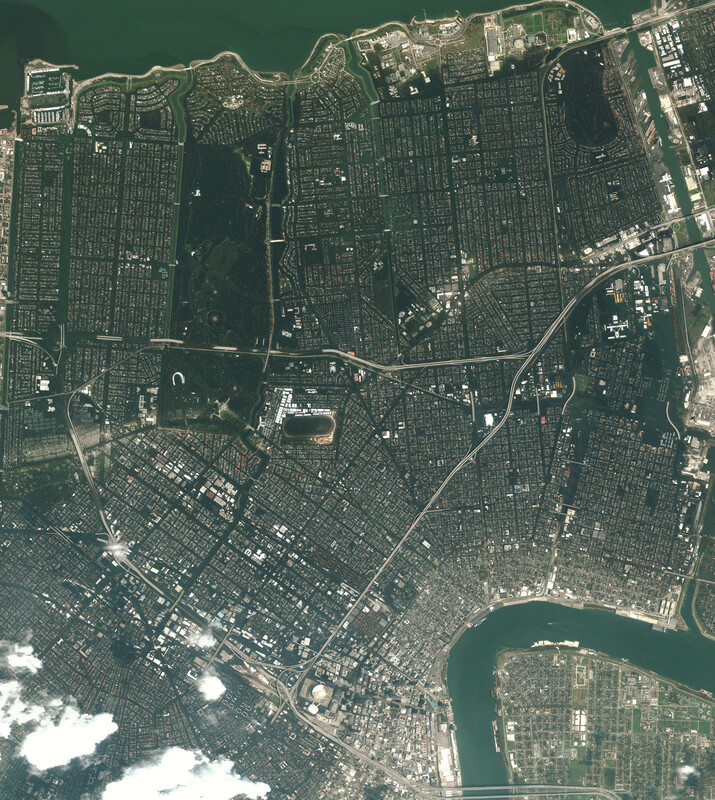 The photo below is of New Orleans, LA just after Hurricane Katrina (title photo) hit. The flooding spans for miles and was all the result of a single storm. 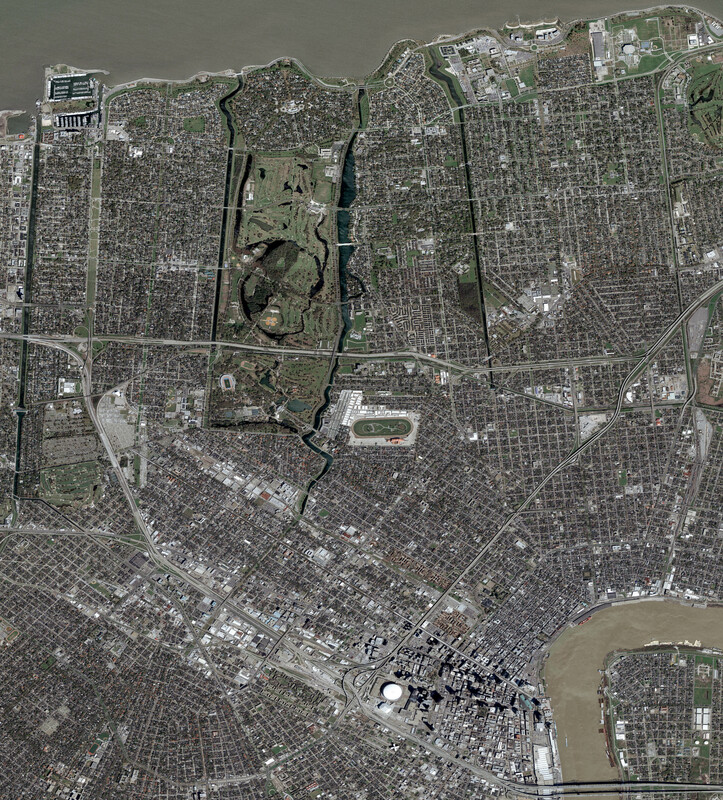 This GIF below shows two satellite photos of New Orleans, one taken on March 9, 2004 (before the hurricane) and the other on August 31, 2005 in the aftermath of Hurricane Katrina. The photo between the two (middle frame of the 3-frame GIF) is a fabricated blend of the other two actual satellite photos. Again, the flooding can be clearly seen – this time from a satellite’s point of view. Follow these steps to ensure that you are the best-prepared that you can be when one of these massive storms is heading your way. Once you have your emergency kit built and ready, there are other pre-storm steps you’ll need to take. You should already have a NOAA weather radio when you organized your emergency kit. Listen to the radio during hurricane season and especially when a storm is brewing or headed in your direction. Double-check your disaster supplies and make sure everything is fresh and stocked. Go outside and bring in anything that could be blown away in strong wind, such as bicycles, lawn chairs, garbage cans, and yard decorations. Close your windows and doors and, if you have them, your hurricane shutters. If you don’t have shutters, consider boarding up your windows with 5/8″ exterior grade or marine plywood. Trim your trees and shrubs so that they are more wind-resistant, and clear your gutters so that they redirect rain water much more effectively. If you own a boat, take the appropriate steps to make sure it is safely stored. You can also consider building a safe room in the middle of your house. Its also a good idea to turn your refrigerator and freezer to their highest (coldest) settings so that if the power goes out your food will last a little bit longer. You can clean your bathtub and fill it completely with water so that you have an extra source of water (if possible, you’ll want to boil the water prior to drinking, or use water purification tablets). You’ll want to turn off your propane tanks and unplug small appliances. If there are any dams or levees in your area, make sure you are aware of them and if they pose a threat if destroyed by the storm. Since standard homeowners insurance does not cover flooding, you should make sure you have protection from floods associated with hurricanes, tropical storms, and heavy storms. You can find out more information regarding flood insurance by visiting the National Flood Insurance Program at floodsmart.gov. Stay indoors the whole time during a hurricane and stay away from windows and glass doors. Make sure that all exterior doors are closed and secure and brace them. Keep your curtains and blinds close. If the storm seems to be dying down, don’t be fooled – it could just be the eye of the storm and the winds will begin to pick back back up. Stay in a small room near the middle of your house, preferably with no windows, like a closet or hallway, on the lowest level. Lie on the floor under a table or another sturdy object and steer clear of elevators. You can also check out the American Red Cross Safe and Well website at safeandwell.org. They keep a database that helps you find family members, so contact the local Red Cross chapter where you are for more information (not the chapter in the disaster area). If you had to evacuate, only return home when the officials declare it is safe to do so. If for some reason you cannot return home but you require immediate housing needs, text SHELTER + your ZIP code to 43362(4FEMA) to find the nearest shelter in your area. (For example: shelter 12345). FEMA also offers assistance for long-term housing needs for those who need it, via services and grants to help those people repair their houses and find new locations. You can apply for assistance here, or search for information about housing rental resources here. Stay away from dangling or loose power lines and immediately report it to the power company. Carefully walk around the outside of your house, checking for loose power lines, gas leaks, and structural damage before entering your house. Stay out of any building if you smell gas, if floodwaters remain around the structure, or if it was damaged by fire and the authorities have not declared it safe. With the camera in your emergency bag (or phone camera) take pictures of any damage to your house and its contents for insurance purposes. If, for whatever reason, you begin to have doubts about safety, have a qualified building inspector or structural engineer inspect your house before you enter. In the dark, use battery-powered flashlights – NEVER use candles. If you are using a flashlight, turn it on outside before you enter (the battery may create a small spark when turned on, potentially able to ignite any gas present). If you have pets make sure you watch them carefully and keep them under direct control. There may be wild animals around (especially poisonous snakes), so use a stick to poke through any debris. Do not drink or prepare any food with tap water until you know it is not contaminated. Throw away any spoiled (or suspected-spoiled) food in your fridge. Use the phone for emergency calls only, and wear protective clothing when cleaning up. (Side note) In situations when mass destruction has occurred, such as in New Orleans after Hurricane Katrina, looting has a high chance of occurring. To prepare for any potential looting and to deter any violence that may occur, it is a good idea to keep a weapon with you to help protect you, your family, and your property. “Hurricane Watch” – hurricane conditions are a threat within 48 hours. Review your hurricane plans, keep informed, and be ready to act if a warning is issued. “Hurricane Warning” – hurricane conditions are expected within 36 hours. Complete your storm preparations and leave the area if directed by authorities.